Big Cat Rescue was recently contacted by the Chabad of Sarasota and asked if we would bring big cats to their event to “provide a show” and then let guests – including children – “interact with them.” Of course, Big Cat Rescue is a true sanctuary and would never drag our cats to an event or allow anyone to touch our cats; the Chabad had us confused with a local Sarasota roadside zoo and circus with a name similar to ours. Instead of appreciating the information and cancelling their plan to bring big cats to their event, leadership of the Chabad of Sarasota asked us to stop contacting them and ignored our further efforts to open a respectful dialogue. We need your help to educate Chabad of Sarasota (Florida) that big cats should not be used as entertainment at their upcoming children’s event! Your emails will demonstrate to the Chabad’s leadership that MANY people do not want to see the exploitation of tigers and lions! We took the opportunity to try to educate leadership of the Chabad that big cats do not belong at events and dissuade them from going ahead with this plan to exploit big cats. We assumed the organization, like many we have educated in the past, was just not aware of the dark side of this exploitation. We assumed they would not knowingly want to support the exploitation and, in our opinion as well as numerous other respected animal welfare groups, abuse of big cats. We also provided detailed information about the roadside zoo/circus in Sarasota, including documentation of dozens of serious USDA violations of the Animal Welfare Act going back two decades. Instead of appreciating the information and cancelling their plan to bring big cats to their event, leadership of the Chabad of Sarasota asked us to stop contacting them and ignored our further efforts to open a respectful dialog. 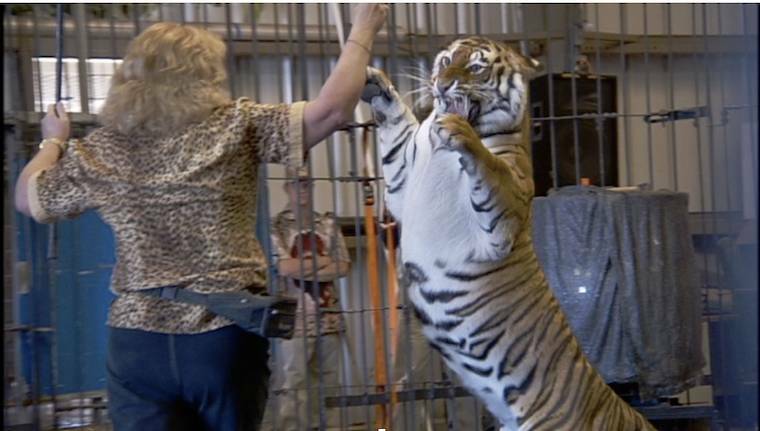 We need your help to show Chabad of Sarasota that there are MANY people who do NOT want to see big cats carted to events, forced to perform unnatural, cruel acts in circuses and used as entertainment and that children should be taught compassion for wild animals, not that exploitation is acceptable. Can we count on you to add your voice and speak up for these tigers at the roadside zoo in Sarasota?